Every day this convert is faced with balancing sacred observance and a vast secular life, which challenges my observance at every turn. Shabbat is a big help, the precious island in time, as are the holidays. There is also the plethora of Jewish activism, volunteerism, clubs, and committees, and to be sure, the work is never done! 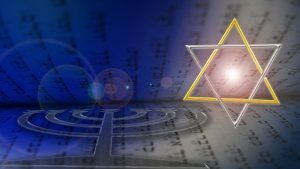 Nevertheless, the question of how to manifest Judaism day-to-day remains a challenge. Personally, keeping kosher style* is a choice that has been very meaningful, and helps to bridge the gap between the secular and the sacred. When I choose to take the time to carefully scrutinize the purchase, preparation, and consumption of my food, I am inviting a very private observation that allows me to be demonstratively Jewish. Even the mundane task of grocery shopping brings me closer to my goal of living a meaningful Jewish life. To say I do not miss bacon would be a lie. I miss a lot of things – my grandmother’s Vina Dosh (vinegar pork roast), Lau Lau on New Year’s Day, good Italian cold cuts, lobster! Yes, the list goes on and on. Perhaps this is why keeping kosher is more difficult for new Jews. We did not grow up Jewish; we enjoyed years of forbidden fruit; and we know exactly what we are giving up if and when we decide to keep kosher or kosher style. As a foodie, culinary art school graduate, and former food service professional, keeping kosher was more than just a dietary change – it was a profound cultural and professional change. So aside from the obvious, that keeping kosher is a mitzvah/commandment that is halachically ordained, why on earth do it? Do I think the Holy One actually cares if I have baby back ribs? No, I do not. Do I believe in keeping kosher for kosher’s sake? No, I do not. Let’s face it, keeping kosher is tough; especially here in Hawaiʻi! Americans are notorious when it comes to food: over-fed and under-nourished. Conversely, Jews have always had a special relationship with food, and keeping kosher bumps that relationship up a notch. The level of connection that keeping kosher style affords me is very comforting, and I am a little less lost for it. So yeah, I miss bacon, I know what I have lost, but I also know how much I have gained! The decision to keep kosher continues to be the right decision these 20 years. *“Kosher Style” (for me) means no consumption of non-kosher meat and no mixing of meat and dairy, ever. I am very conscious of hechsher and ingredient lists. I do not separate cookware/dishes/cutlery. Living in Hawaiʻi I mostly defer to vegetarianism.